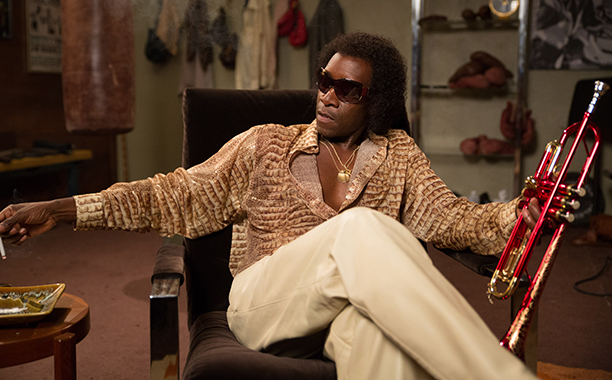 Shirts With Random Triangles: Don Cheadle Stars As Miles Davis In "Miles Ahead." The takes place in 1979 as Davis and a reluctant reporter sent to interview him (Ewan McGregor) attempts to recover a stolen session recording. Davis' life story is told through flashbacks while the pair's surreal odyssey unfolds. Miles Ahead is set for a April 1 release in theaters.